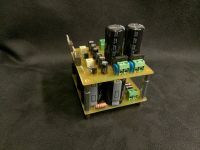 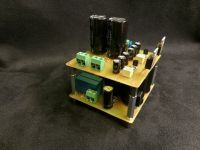 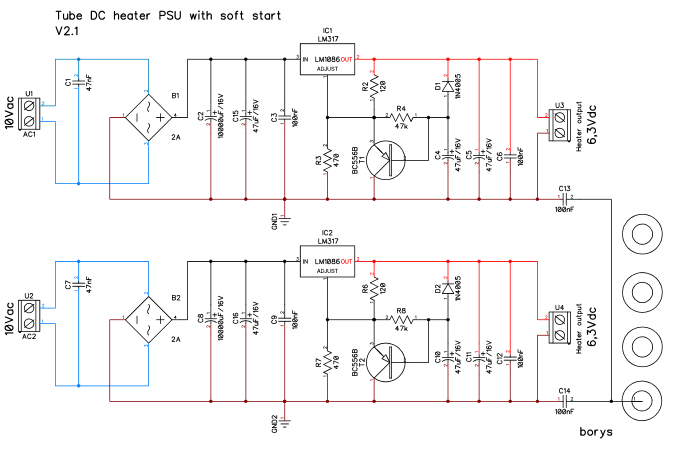 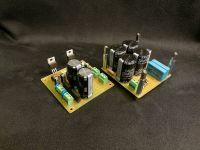 This is very simple PSU project based on the LM317/LM1086 datasheet. 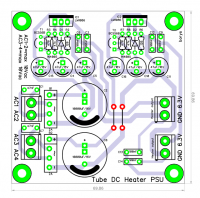 PSU provides fixed 6.3Vdc output voltage for vacuum tube heater. To reduce inrush current (cold filament) voltage regulator reference is shorted with PNP transistor, while RC network ''base'' voltage is rising output slowly goes to its nominal value (RC capacitor is fully charged and PNP transistor is closed). Board contains two separate PSU's, both ground terminals can be connected together or they can be coupled with 100nF capacitor to the chassis mounting screw. 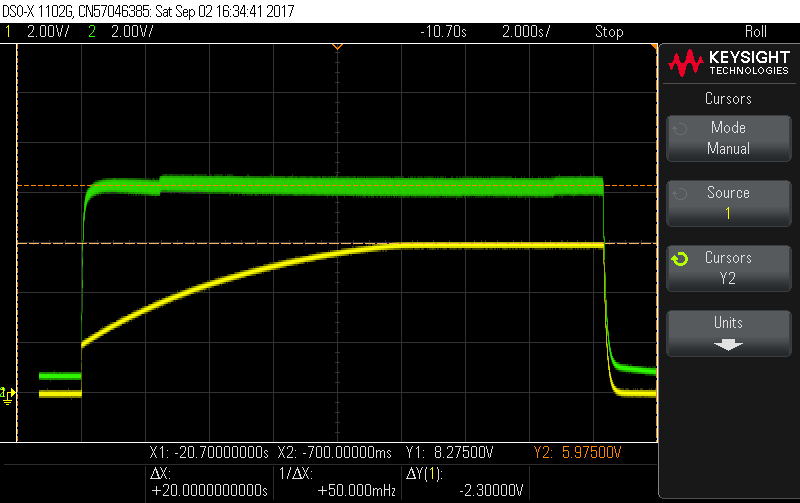 With proper grounding scheme our tube preamp/hybrid amp should be absolutely hum free - as per FFT example VSHA V5 with ECC88. 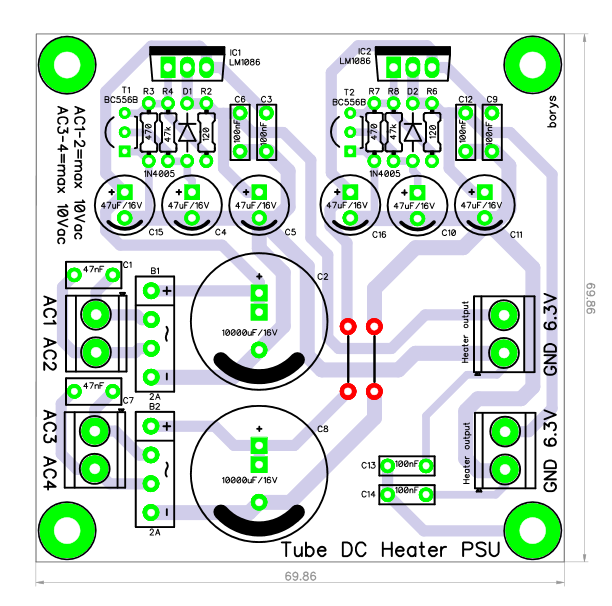 Mountint hole layout is exactly the same as DC heater PSU so the both boards can be mounted on top of each other to save some room inside amplifier enclosure.